The heart and soul of Malaysia, Kuala Lumpur, is truly one of Asia’s bustling metropolis cities that radiates an enchanting cultural charm. In Malay, Kuala Lumpur means "muddy estuary," a once sleepy Chinese tin-mining shanty town that is now the home of about 6.5 million people. More fondly known as KL, it is also the home to one of the world's tallest building, Petronas Twin Towers, a testament to the astounding growth that took place in Malaysia's capital city. As the economic and business hub of Malaysia, Kuala Lumpur has become the centre of trade and commerce, banking and finance, manufacturing, transportation, information technology and tourism. Furthermore, it is also fast becoming an Islamic Financing Hub, with an increasing number of financial institutions providing Islamic Financing. KL houses the world's largest Islamic banks, such as Al-Rajhi Bank and Kuwait Finance House. Other non-Islamic major international companies that are found in KL include accountancy firms like PricewaterhouseCoopers, ABN Amro Bank, Exxon Mobil Companies, Shell, Accenture, IBM, Microsoft, and Reuters. In KL, most expats prefer to live near the workplace, which makes commuting more comfortable and avoids traffic congestion. Jalan Ampang is one of the prime residential areas popular with expats due to its proximity to the city centre. Jalan Ampang offers numerous restaurants that serve international cuisines, shops, and is home to The International School of Kuala Lumpur. Locally dubbed as the Millionaires Row or Ambassadors Row, Ampang is dotted with luxurious old colonial mansions. Today, most of these dwellings are renovated into embassies and consulates. Bangsar, an urban and well-established suburb, offers a wide variety of accommodations, shopping convenience, and three international schools. Malls are just a stone's throw away; residents can easily walk to the nearest shopping mall. Young expats usually prefer to live in Bangsar due to its wide variety of western influenced pubs and restaurants. Most of the affluent families live in Damansara Heights, which is also known as Bukit Damansara, an exclusive neighbourhood situated on the hills that have an excellent view of the city proper. One of the newest neighbourhoods, already home to a large expat population, is Mont Kiara, a favourite amongst expats as it combines modernity and convenience that consists of high-rise condominiums and modern housing. Living in rented accommodation will give one an option for both furnished and unfurnished space. If the employer provides housing, check on what is provided and what will need to be shipped. Relocating to a tropical country means one can leave behind those thick jackets or winter clothes, gloves, and scarf. It is recommended to bring light clothing. It is even better to travel light; one does not need to bring too much clothing, as clothes (even designer brands) are a good buy in KL. Be aware that Malaysia is predominantly Muslim; expats are expected to dress modestly when in public and in places of worship. Do not forget to bring an adaptor as Malaysia sockets are often square three pin (UK style). Expats relocating to the beautiful city of Kuala Lumpur will be embraced by the city's warmth and its unique blend of tradition. KL is a kaleidoscope of culture; one can easily fall into the city's captivating sights. Located in the Klang River Valley Kuala Lumpur is the thriving capital of Malaysia which has always been famous among expats because of its significant role in the country’s largest business district. You can expect a prosperous career opportunity in the city’s leading industries such as finance, real estate, education, health services and communications. Aside from the magnetic status of its economy, Kuala Lumpur also captures the hearts of many with its undeniable natural beauty and rich colonial culture that you will see in many of the city’s well-preserved historical sites. If you have made up your mind to relocate in the world renowned “tiger state” of South East Asia, here are a few guidelines to help you out. You can start looking for a place to live in Kuala Lumpur even before you arrive by browsing through online portals that contain real estate properties. These websites show the locations and prices of the rentals which will give you an idea of how much to prepare for your housing needs. Once you get in the city, you can look at local newspapers for ‘For Rent’ listings or better yet, hire a realtor to assist you in your search. Brokers in the city are very familiar with the neighbourhoods and can give you the best options in the market as long as you tell them exactly what type of accommodation you’re looking for. Landlords don’t usually include the cost of utilities in your rental pay so you have to prepare around €50 per month for your water, electricity, gas and garbage collection bills. Once you are settled in your new home, you can apply for an internet connection which is roughly €50 for unlimited data and mobile service where local prepaid calls are charged €0.10 per minute. Kuala Lumpur has an abundant supply of properties in the housing market where you can choose from bungalows (detached houses), condos and apartments. Most of the rentals that you will find are unfurnished, but you can specifically request for your agent to look for the serviced condominiums if you prefer moving into a fully furnished unit. Landlords will also let you choose between a short term and long term lease agreement, depending on your planned length of stay. You will find a majority of expats residing in the city centre where the price of a one bedroom apartment starts at €550 per month and €950 for a three bedroom unit. There are also plenty of accommodations outside the metropolitan where a one bedroom flat is around €300 monthly, and a three bedroom unit is roughly €500 per month. There are plenty of international schools in Kuala Lumpur that you can choose from like the Fairview International School, which follows the International Baccalaureate Program (IB) in their curriculum. These institutions also are the popular choice among expats parents since their kids can still continue learning using the educational structure from their home country. Malay is the primary language used in most public and state schools in the city. 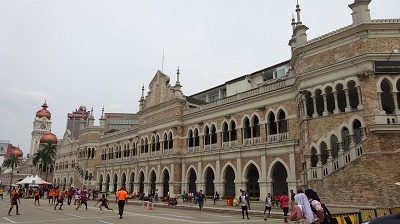 These institutions can be a much option for your kids if you are staying in Kuala Lumpur for an extended period since they will be more integrated with the city’s mother tongue and culture. The University of Kuala Lumpur is the nation’s leading local school which was established in 2002. All pets going to Kuala Lumpur are required to undergo a 30 day quarantine period where the first two weeks need to be spent in a government facility. If a veterinarian approves so, your pet can continue the rest of the quarantine period at home. A microchip is the only form of animal identification accepted in Kuala Lumpur. You also need to secure specific documents for your pet like the Vaccination Certificate, Health Certificate and Import Permit stating its name, breed, gender, age and colour. Kuala Lumpur is a bustling city whose vibe will inspire you to move hand in hand with it towards progress. You can look forward to experience modern Malaysia while learning its rich Islamic and Mayan culture all at the same time. Kuala Lumpur is considered as one of the fastest growing metropolitan in the world – in terms of economy and population. It is the capital and most populous city of Malaysia with a population of around 1.7 million people. The best thing which expats enjoy in the city is the freedom of expression. Since Kuala Lumpur has been a home to many cultures, including Islam and Christianity, all of these holidays are being celebrated and accepted by the Malaysian Government. Expats living in Kuala Lumpur are in for a treat starting day one. Homes in Kuala Lumpur are relatively larger compared to other cities which is an advantage when expats are taking their kids with them when living in the city. Expats kids will also enjoy spending most of their time exploring on various entertainment centers and amusement parks around the city. 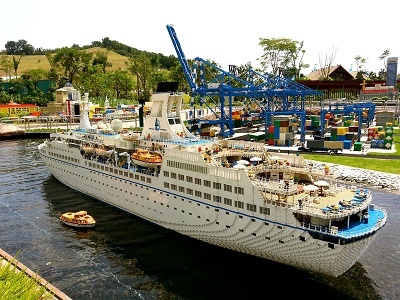 Children who are into under the sea adventures are sure to love the Kuala Lumpur Convention Centre (KLCC). A world-class aquarium which serves as home to more than 5000 marine species. On the other hand, kids who prefer land animals will be ecstatic to see the Petrosains Discovery Centre. 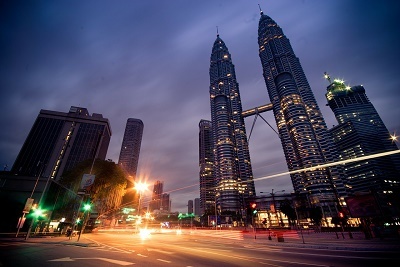 Compared to the other cities in Malaysia, expats do not necessarily need to have their own cars to drive around Kuala Lumpur. Its extensive public transport system is quite impressive which includes the Light Rail Transit (LRT), railway, monorail and buses. Aside from international banking, expats also have the option to open a local bank account in Kuala Lumpur. The central bank of Malaysia is Bank Negara Malaysia and foreigners can open a local bank account provided that they present a valid work permit, passport, proof of residence, etc. There are many local banks to choose from in Kuala Lumpur such as the RHB Bank, Bank Islam Malaysia, CIMB Bank, Public Bank and Bank Muamalat Malaysia. Once an expat is done opening a local bank account, all other bank services such as mobile banking would be easier to go through. One of the advantages of living in Kuala Lumpur is that most of the international schools in Malaysia are located here. For expats who would like to have their children study under the same curriculum back in their home country like the International Baccalaureate curriculum and the British National Curriculum. Schools like The Australian International School, Fairview International School, The International School of Kuala Lumpur and Mont’Kiara International School are just some of the many finest international schools in the city. Foreigners living in Kuala Lumpur mainly for business purposes would not find language as a hassle since Malaysia treats the English language as their “business language”. It is also minimal for them to encounter culture shock in the city as locals are very much welcoming and warmly welcomes newcomers. Aside from the climate – which is hot and humid, plus the influence in religion, expats will just be fine in the city.